With More Than One Brand, What Do You Do? Mergers and acquisitions happen constantly, and there is plenty of talk about how businesses should manage the process. 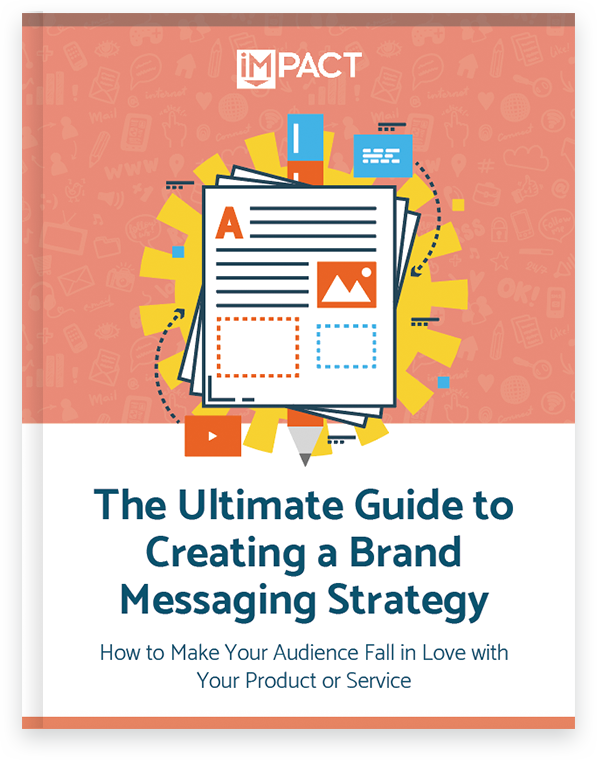 But there is very little information available on how to manage the messaging and marketing strategy that goes along with it. IMPACT Principal Strategist Stacy Willis aims to change that with this guide. Should you combine your brands into a single website presence? What questions should you be asking yourself before you make moves to blend brands? What SEO implications do you need to consider? Should you maintain a parent brand with sub-brands? Or merge everything together? 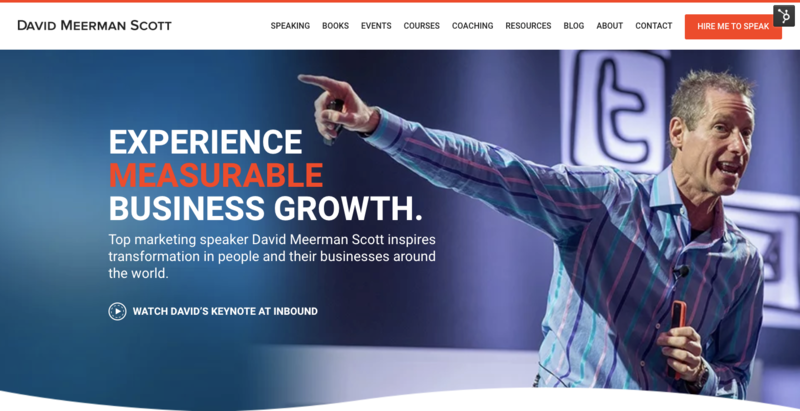 Chapter 1 Should You Combine Your Brands Into One Website? I often get asked by clients or prospects on how to manage a strategy that includes multiple brands. I’ve found that this is a much more common problem than might be expected. In some form or another, many companies are having to manage the marketing strategy for multiple brands, figure out how to combine multiple brands into a single strategy, or manage brand transitions. Mergers and acquisitions are not uncommon. Sadly, marketers don't do a great job of educating others or sharing how to manage the blending of online presences for previously unrelated brands. Well, I'm here to break this cycle of silence, people. I’ve been lucky enough to be a part of the strategy behind multi-brand management for many different clients in many different situations. 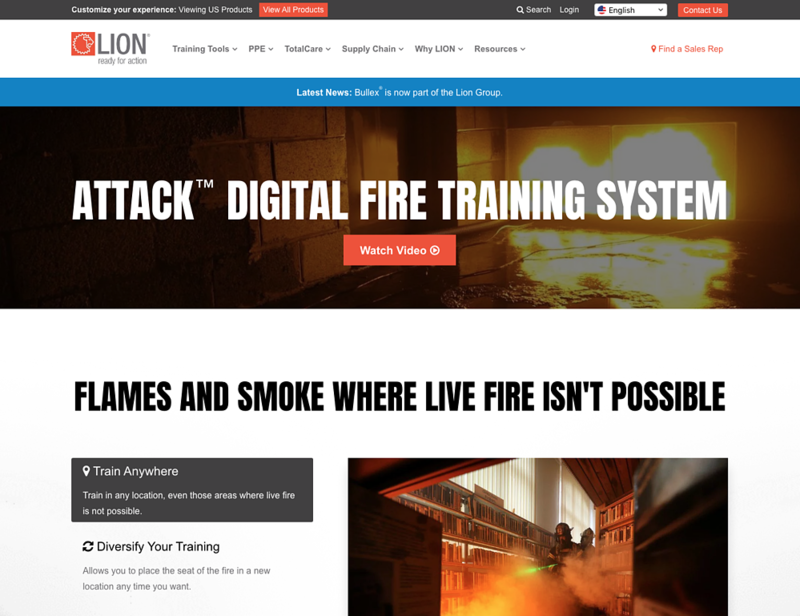 Read the full success story from LION, and how our brand messaging workshop helped them unify three brands with new messaging and a new website. I’ll start this guide by saying that, while this is meant to help guide organizations who are struggling with similar questions, no two situations are exactly alike. Every strategy I’ve worked with clients to create and execute has its own flavor. Each situation is unique, with unique audiences and challenges, so there is no single "cookie cutter" approach that will work for everyone. What I can do is provide you with the most important questions you should ask yourself during the process, considerations you should not overlook, and guidance on the two overarching strategic options you have when faced with this situation. Should You Combine Your Brands Into One Website? The first question that usually comes up in this situation is: "Should I combine my brands in a single business website?" The answer is never black and white, and is rarely obvious. What is the company’s overall business strategy with each brand? Marketing may be a key consideration in determining what the business strategy behind the management of the multiple brands, but it is far from the only one. Will teams working on the brands be brought together and integrated or kept separate? Internally, do you plan on keeping the teams who manage the brands separate or combine them into a single team? It is important to understand how the team will be structured to make an informed decision as to how easy (or hard) it will be to make decisions or changes. Will product names be changed or moved under a single brand? What is the business plan for the product or service names that live under each brand? Will they stay the same or change? Knowing what you want to do with each of the individual products under each of the brands will help in making decisions about if the brands should be combined or kept separate. Where do you see the brand and the business in five years? Ten years? As you look into the future, what does the landscape look like? If you imagine the brands being combined as you look into the future, it makes sense to either lay the groundwork now or start the process and get there ahead of schedule. Are the different brands unique or do they share strong similarities? If your brands are completely unrelated, it likely doesn't make a lot of sense to combine them. If there are strong similarities between the products or individuals served by each of the brands, combining them into a single masthead might make a lot of sense. It will improve your ability to offer more products or services to the same customer and foster up and cross-sell opportunities. Do you see the business phasing out specific products or brands as time moves forward? What is the product roadmap for the business? Do you see releasing new versions of the products under each brand name? Do you see yourself combining features of products currently existing within separate brands? These questions are important for understanding how to manage your top-level brand strategy. How much effort is the business willing to put toward managing multiple brands? Hint, hint! More brands mean more effort. Take a good, hard look at how you want to structure your business going forward. If you can't afford to put the extra effort into marketing, sales and customer services that maintaining separate brands requires, make that choice now. Be realistic about what your team can handle. Once the business decisions behind the strategy come to the surface, it becomes easier to see the whole picture. Knowing what the ultimate business goal or goals behind the different brands are is the single most important part of this process. It will define the ultimate strategy and will dictate much of the timelines around how it is executed. Now, marketing can help make some of the decisions as well. There are a few questions that are important to consider if the business strategy is not yet clear or leaves room for options. Are your different brand audiences similar? If the audiences for your two brands are wildly different, it will make no sense to combine them into a single website. If your audiences are the same or overlap significantly, it will be much easier to combine them into a single website with a single brand messaging strategy. Do the products or services offered by the different brands solve similar pain points? If the answer is yes, this is a big signal that the brands should be combined into a single website. There will be much more opportunity for cross-over between the products or services offered by either brand. Combining them on a single website will allow you to offer a more holistic solution for users and make it easier for them to peruse all of your offerings. Are the buyer personas across brands similar or the same? If your two brands have the same set of buyer personas, or the two brands combined only speak to about four personas, you should be relatively safe moving them into a single website. What you want to avoid is having eight personas served by a single website. It becomes very difficult to manage the different message across all of these audiences and create an experience that works for all of them. Is there strong brand loyalty or recognition among the different brand audiences? Do your brands have a strong following or clear brand recognition. Would you lose something by essentially losing one of your brands? These are important considerations as you are deciding what your strategy looks like. Is there a single brand that stands out as the largest or most prominent? This is an important question when deciding to consolidate brands. Is there a stand-out brand that would make sense to be the brand that you keep and pull smaller brands underneath? Once you’ve answered all of these various questions, it will start to paint a much more clear picture of where you need to go. Making sure you understand the foundation of the effort will make it much simpler to select the right strategy for your organization. After tackling some of the hard-to-answer strategic questions, there are some very tactical items we can look at to help determine if we should look at combining brands onto a single website. That's right, it's time to put on our SEO hats. Take a dive into the analytics for each of the websites you are considering combining. If one stands out as a clear leader and the others are significantly lower, then it might make sense to roll those smaller sites up into the larger site. If all of the sites have high traffic, it might be a bit more of an undertaking to try and combine them. Take a look at the keywords that are driving traffic to each of your websites. Are they very highly brand-related? Or are there lots of non-branded keywords helping to generate traffic? 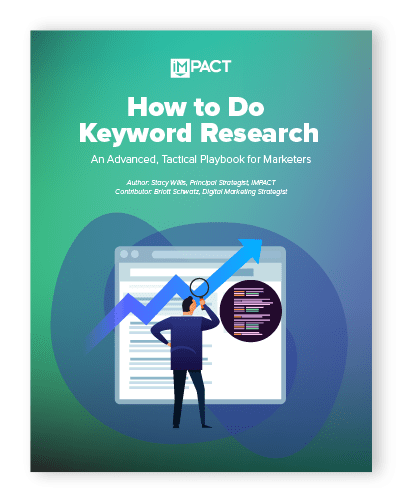 If your websites are doing a good job of targeting pain points (and using a more inbound methodology), they will be relying much less heavily on brand-specific keywords. These websites will be much easier to combine into a single website. This item should obviously be taken with a grain of salt, and weighted against your overall website traffic. If a website is relying very heavily on brand-specific keywords to drive traffic, but it isn’t driving very much traffic overall, then it doesn’t matter very much. One of the biggest issues you’ll run into when managing or merging multiple websites is SEO cannibalization. This is essentially the act of one of your brand websites eating away at traffic from the other. If you have two websites competing for the same keywords, they will naturally end up competing against each other. This can range from something as innocent as a simple sibling rivalry to an all-out war. The first thing to do is look at keyword overlap for the multiple different websites you are considering merging. If you find that the overlap is high, and if, in the previous section, you have determined that your audiences are very similar, you have a strong argument for combining the two sites. Ew. No one wants that. Take a look at where your visitors are coming from. This won’t necessarily be a “decider” either way, but it is very important to know going into the setting of a strategy. If the audiences for each website are coming from very different locations, you may have to consider if geography makes a big difference in brand recognition. You’ll want to be very careful to manage that recognition if you choose to combine the sites. So, I know what you’re waiting for here: an answer to the question that started it all. And I can’t give you an answer here. I can’t assume the answer to any of the questions I’ve posed above and, without context, I can’t tell you what is right for your situation. Only a strategic discussion with your team and dive into your analytics can provide you with that answer. What I will do is detail the two most common strategies, in my experience, and the organizations that they often work for. Now that you’ve gone through the exercise from the previous chapter, you should likely have an idea of which way your organization should be leaning. From here, we'll break down your two options, starting with blending your brands. Again, I cannot stress this enough, you need to implement your own version of it of this strategy. Like I said before, there is no cookie cutter approach for this, and every brand will need to choose a variation of one of these strategies that works for them. This strategy has an end goal of combining everything under a single brand and phasing out the smaller brand(s). The timeline of this approach will be highly specific to each individual organization and should be dictated by the timelines in the business strategy, in conjunction with the habits and activities of the target audience. Brand acquisitions, when a larger brand acquires a smaller brand. Brand mergers, where there is a clear leader or there is no strong brand loyalty. Strong audience overlap, when the separate brands have a very similar audience and close to the same buyer personas. Business goal, when the business strategy is to ultimately live under a single brand name. Organizational investment, when an organization does not deem it a business priority to put the significant investment of time and money required into managing multiple brands as separate and unique brands. The first step in this strategy is to create a natural progression for your audience from one brand to another. Think of it like quitting smoking -- you can’t expect your audience to simply go cold turkey. You'll confuse them, and you'll likely see a dip in revenue, if they just show up to your website one day and it's gone one or showcases a completely different name. You need to give your audience the marketing equivalent of a patch or some nicotine gum to help ease the transition. This takes the form of a co-branding strategy. It is most typically executed by creating a logo that merges the old with new. You might create a logo that still uses the name “Le Tigre” but has a tagline below it that says “a Blue Steel Company” or “by Blue Steel” to start helping your audience recognize the new name. Often this is done using the branded colors of the Blue Steel brand to start transitioning the style as well. Explain the reason behind the merge. Assure the audience that nothing has changed -- and that things will improve! "Le Tigre is now a part of the Blue Steel family! We are so excited to announce that we are joining forces with Blue Steel to help deliver you the same great products you are used to faster, and with better customer service." Behind the scenes, the business strategy should be to start moving products and services under the new names. Product-based companies should be preparing to change logos on products and internal conventions should be beginning to shift. 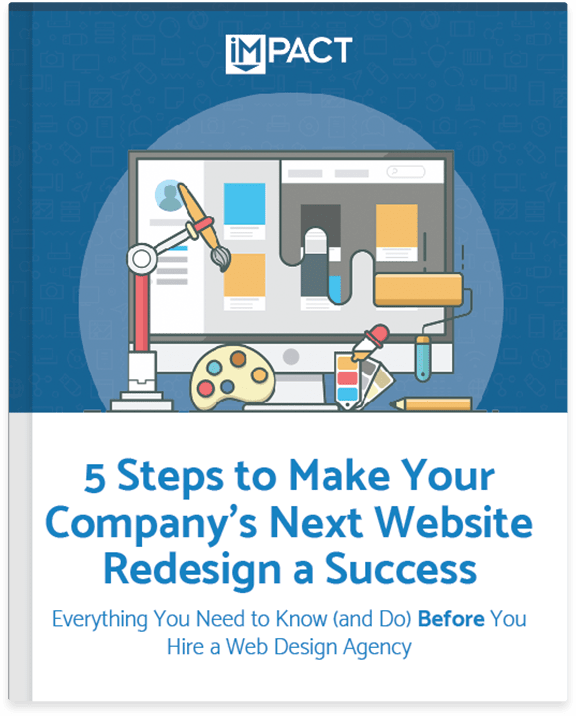 Along the path to merging brands, at some point, you will have to undergo either a complete website redesign or a website update that brings all of the information from the old brand onto the website of the new brand. When combining websites, make sure you do your homework first. I always make sure I understand what pages are ranking well for valued keywords from an SEO perspective. Additionally, it is very important to understand what is working well from the old websites. Are there pages where conversion rates are especially high? What does user behavior look like? Where are users spending the most time on the site? During this process, you’ll be creating entirely new pages on your single combined site to house the information from the old brand’s website. As you go through this process, make a detailed URL mapping plan of what 301 redirects need to be in place from the old site to the new. You need to create this plan before proceeding to the next step. When it is time to officially start the shift with your website, you’ll want to keep in mind what I said before. It should be gradual and you should be creating a bridge from the old to the new for your audience. You want to find a balance between being too abrupt with your audience while still starting to shift their mindset to the new brand. In order to do this with your website, the best strategy is to have an interim phase before the old brand is completely removed from the picture. As you are phasing out the old website from the older brand, you’ll likely still want to have at least a splash page at the URL of the old brand’s website. Let’s use the example above to walk through what this looks like. Le Tigre’s website will just have a splash page that has the co-branding message created previously along with a button that directs people to the Blue Steel website. All pages on Le Tigre’s site will show this message. After the user is on the page for a certain amount of time, you can potentially decide to auto-redirect them to the Blue Steel page. Users should be redirected to the appropriate corresponding page on the Blue Steel website (e.g. if I’m trying to view a product page on the Le Tigre site, I should be redirected to that same product page on the Blue Steel site). When a user arrives on the Blue Steel website at a product page that used to be a part of the Le Tigre product catalog, they should be met with similar messaging about the brand merge so they understand the product is the same and start familiarizing themselves with the Blue Steel brand. This page should use the co-branding strategy, in terms of logo and color scheme that you created in the previous step. Let's take a look at an example of this in practice! The LION brand recently combined existing brands BullEx and Haagen under its masthead. To get ahead of messaging around the new brand names, the LION team created some content around the brand merge, as shown above. Now, you’ll phase out the splash page on the Le Tigre website and just auto-redirect anyone landing on a Le Tigre URL to the correct Blue Steel URL instead. This page will still hold the messaging about the brand merge as described above. This part of the strategy is essentially where you are beginning to phase the Le Tigre name out little by little. 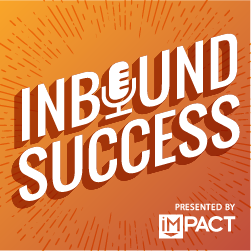 After your audience has gotten used to the Blue Steel name, you can completely phase out Le Tigre and get rid of any messaging or co-branding that uses Le Tigre. At this point, all products should now be completely and holistically Blue Steel. The timelines for each of these phases will vary. They will depend upon your audience, how strong brand recognition is for the brand that will be going away, your industry, and much more. Like I said before, this strategy is just a framework; the details will fit your situation. Let's go back to our example to see how website pages look after the new website has been launched. To make their strategy work, the LION team used smart content and conditional messaging based upon a user's location. Redirects from the old product pages to the new versions landed users directly on this page if they were trying to visit the product page on the old website. The goal of this strategy is to continue to maintain separate websites and brands that have been pulled together under an umbrella or parent brand. It is significantly more effort than the previous strategy, but may make sense especially if each of the sub-brands has its own marketing department or messaging. Very high brand loyalty, when each of the individual brands have such high brand loyalty that getting rid of a brand would mean a significant loss of revenue. Lack of audience overlap, when the separate brands serve very different audiences. Highly-specific keyword searches, when the individual brands are heavily found using very specific keywords. For example, property management or corporate real estate firms will often maintain individual property websites in addition to the main brand website because people very often search for property addresses when researching and buying. In this strategy, your parent website will be the website for the umbrella brand. This website will likely not be a huge lead or sales generator. Each of your individual brand microsites will be used for that. Typically, in this strategy, the parent brand is more of a masthead or name recognition engine. Rarely do brands using this structure want to try and sell products or services from the parent brand. They typically want to try and sell specific products or services to specific audiences from the correct associated sub-brand. The parent site should really be more informational and tell the story that ties all of your sub-brands together. It should remain very simple and allow users to quickly and easily move away from the parent site and down to the sub-brand microsites that have what they really want. The sooner you can get leads off to the correct microsite, the more likely you will be to turn them into a conversion. They have their parent brand site which gives information about the Procter & Gamble as a whole and has a page with all of their sub-brands listed. The website itself is very simple and maintains the goal of working to siphon traffic off to the correct sub-brand as quickly as possible. 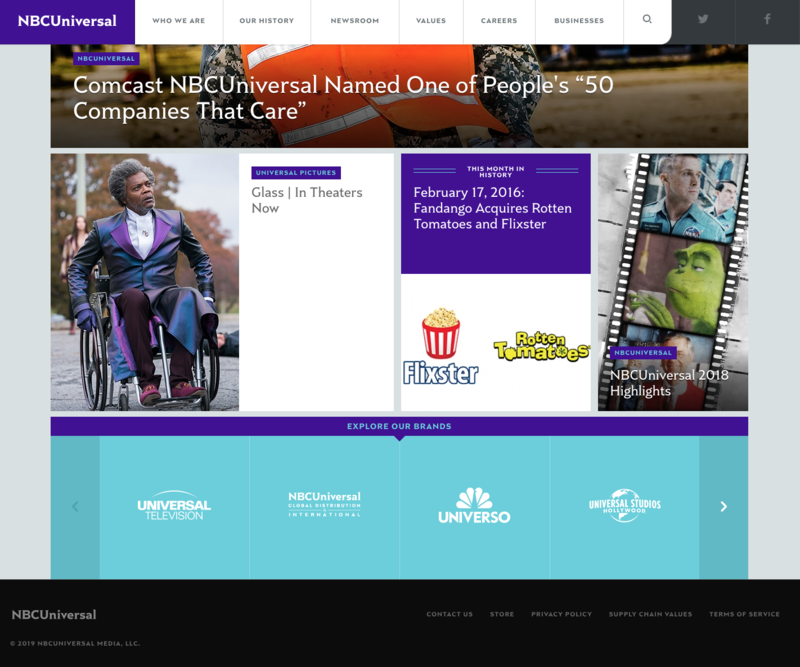 In this case, NBCUniversal has opted to showcase their portfolio of brands at the bottom of their homepage. The goal behind the individual microsites is all about keyword search. The main reason to maintain separate microsites is to take advantage of the fact that users often search for the name (or address, in the case of real estate) of the individual brand. So, start by making sure your microsite is an SEO machine. From a messaging perspective, the individual microsites should be highly specific and targeted toward the individual audience that would be interested in that sub-brand, and not messaged to the larger audience of the parent brand. Be highly specific and really speak to your target audience here. If your parent brand is highly recognized and will lend additional credibility to your sub-brand, make sure the relationship is highly public on the microsite. You could go so far as to use a similar co-branding approach to that described in the “Combining all Brands Into a Single Brand” section. It may simply be enough to include a tagline or sentence somewhere on the home page that says “A [Parent Brand] Company” and leave it at that. It will depend heavily on your specific situation. Take advantage of backlinks whenever possible. The great part of this strategy is that you can help build your own backlinks between sites. So, make sure your parent site and microsites link back to each other (where appropriate). The sub-brand website is specifically just about Bounty as a brand. 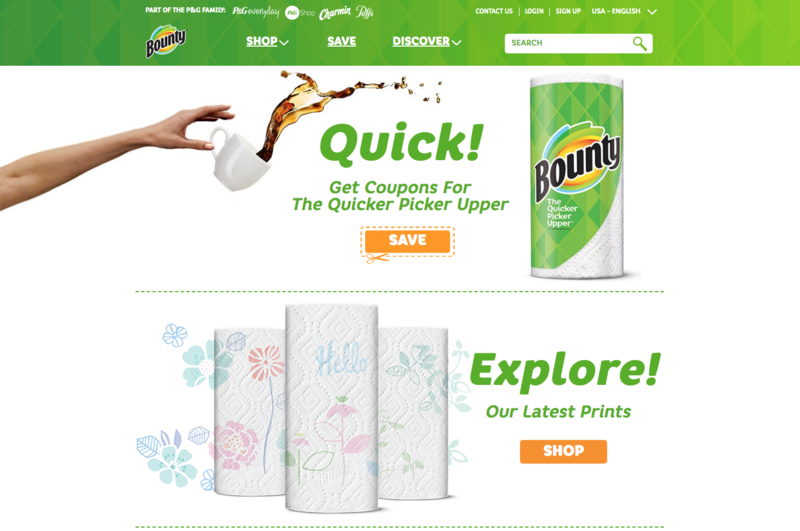 There is just a small banner at the top of the website that mentions Bounty as part of the "P&G Family" with little fanfare. The goal here is to get the user to identify with the sub-brand rather than the parent brand. I know I'm repeating myself when I say this, but please keep in mind that this is a simple framework and set of guiding principles that are designed to be adapted by you to your unique situation. As much as I wish this could have been an expansive, 12,00o-word guide that holds your hand through every single step, that's simply not possible. And if you read another guide that promises their one-size-fits-all approach will work for you, run away. No one is that good -- even me. 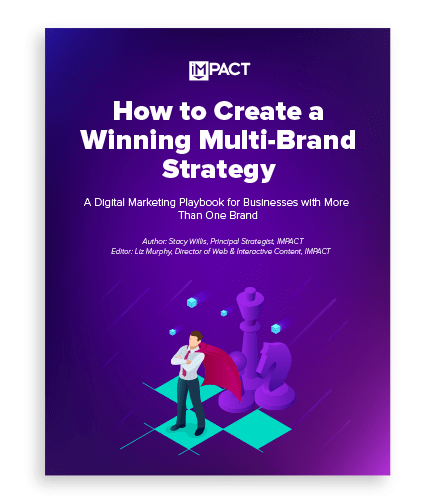 However, once you decide which path you wish to take, below are three additional guides that can help you along your journey of developing and executing your multi-brand strategy. Good luck! 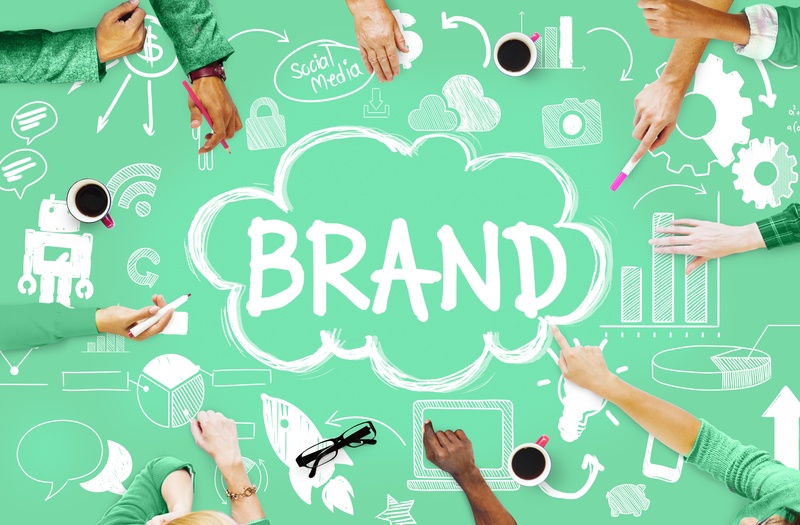 Need Help with Brand Messaging or a New Multi-Brand Strategy? Let's Talk?